Genres: School Life / Musical? Summary: Konatsu wants to create a new chorus club, partly out of grudge, partly out of passion. She is now gather the required five members to start the club. Personal comments: This looks a bit too...plain. 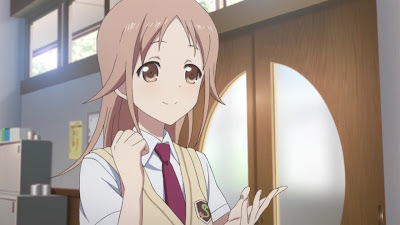 The reason I still haven't completely given up on slice of life anime as of the moment, is that sometimes something good like Natsuiro Kiseki or Ano Hana does show up. Hopefully, something good too would come out of this.